Your baby’s on the way to becoming a weightlifting champ with this barbell rattle toy from Bright Starts! With precious pink and purple details and a delicate twisty handle, this rattle is as cute as can be and as strong as your sweet baby girl. Every shimmy and shake will have your little one laughing out loud with delight. 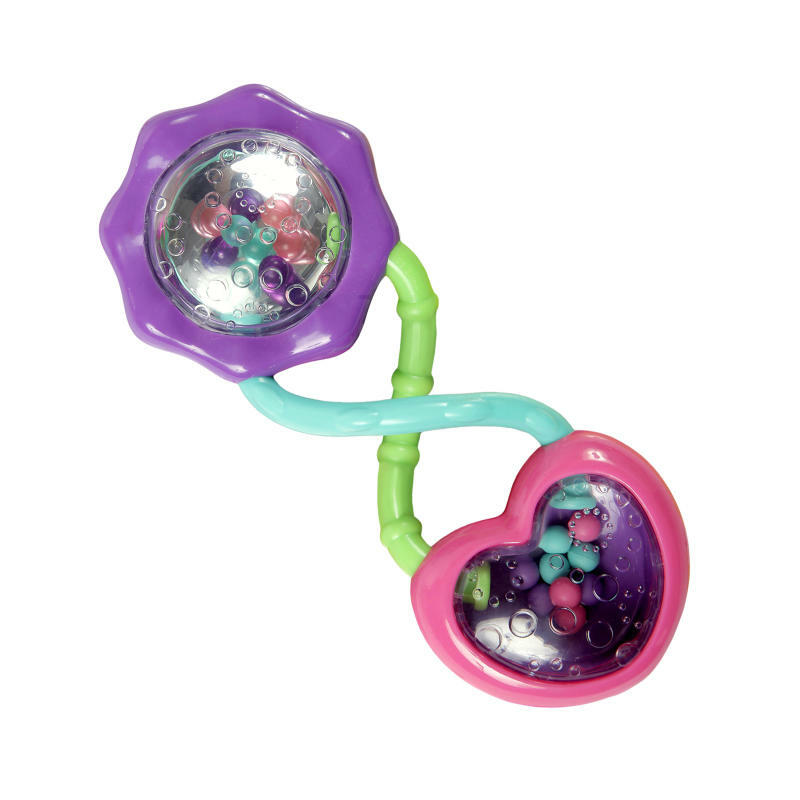 Easy to grasp handles, rattle beads and mirrored surfaces make this toy a perfect addition to the toy box. Toss in the diaper bag for smiles on-the-go! Smiles are just a sh-sh-shake away!